Malda (West Bengal): BJP President Amit Shah on Tuesday asked his partymen and supporters to uproot the Mamata Banerjee-led West Bengal government from power. He said the state's contribution to national production has come down to 3.3 per cent under her regime as against the figure of 27 per cent just after independence. "West Bengal used to contribute 27 per cent of the national production after independence. But it has been coming down gradually. Now, the state's share to national production has come down to a mere 3.3 per cent under Mamata Didi's government," Shah told a rally here. He said the state earlier used to provide 32 per cent of the jobs in the country, while it now offers only 4 per cent. "There is now an army of unemployed in the state." Earlier, BJP leaders in Bengal had postponed its rallies by two days owing to the ill-health of Shah. 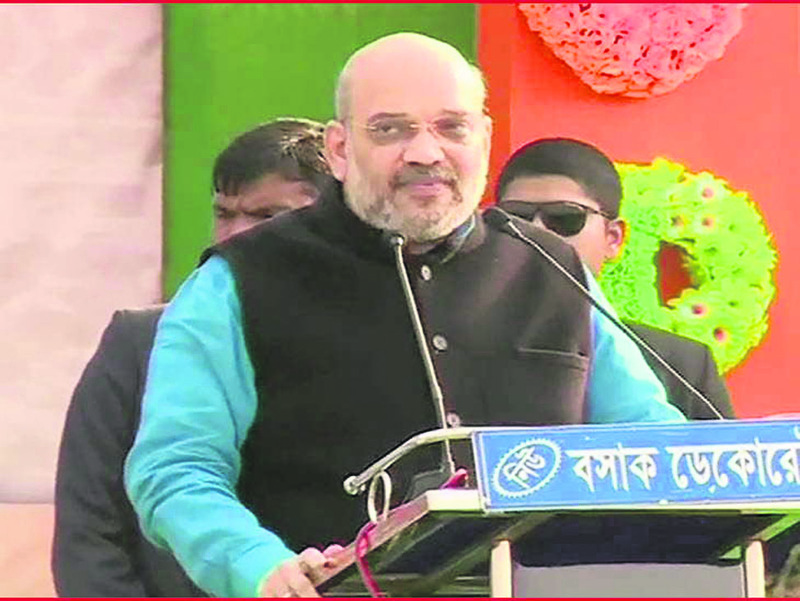 Besides Malda, Shah will address two rallies at Suri in Birbhum district and Jhargram district on January 23. On January 24, he will address rallies at Krishnanagar in Nadia district and Jaynagar in South 24 Parganas district, state BJP president Dilip Ghosh said. The BJP recognises West Bengal as a priority state for the upcoming general elections and Shah has set a target of winning 22 of the state's 42 Lok Sabha seats.